While Tweak-Center mockup was a brilliant idea that stood out from the rest of the crowd, here is another very interesting concept that demands your attention. USC Launchpad Concept integrates Ubuntu Software Center with Launchpad and thereby provide easy access of hundreds of awesome applications hosted at Launchpad to its users. "Thousands of Ubuntu/Linux software projects are hosted on Canonical's Launchpad service. 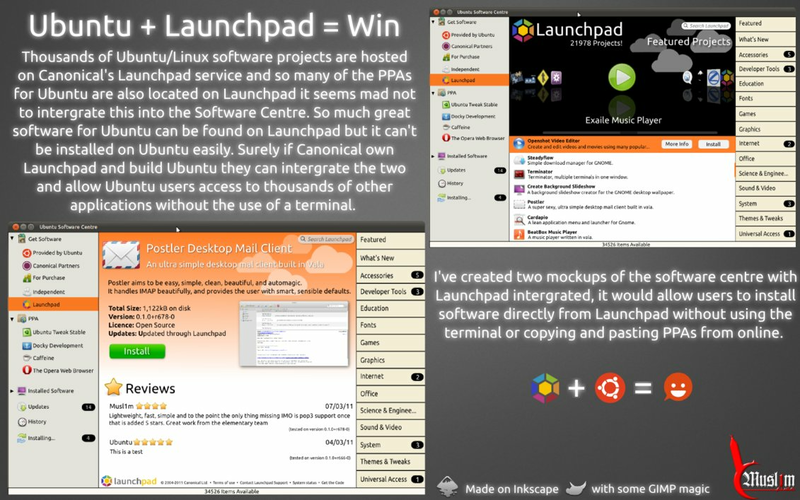 So many of the PPAs for Ubuntu are also located on Launchpad and it seems mad not to integrate this into the Software Center. 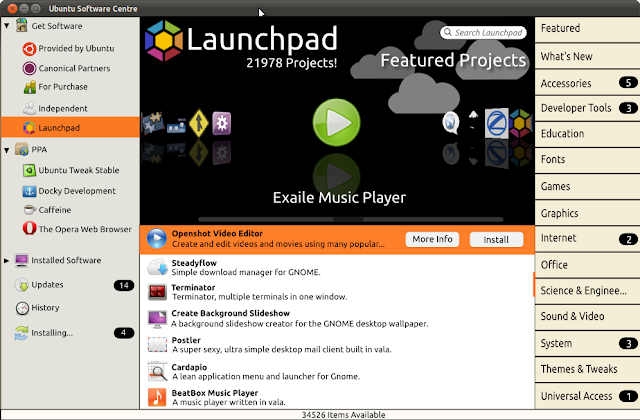 So much great software for Ubuntu can be found on Launchpad but it can't be installed on Ubuntu easily. 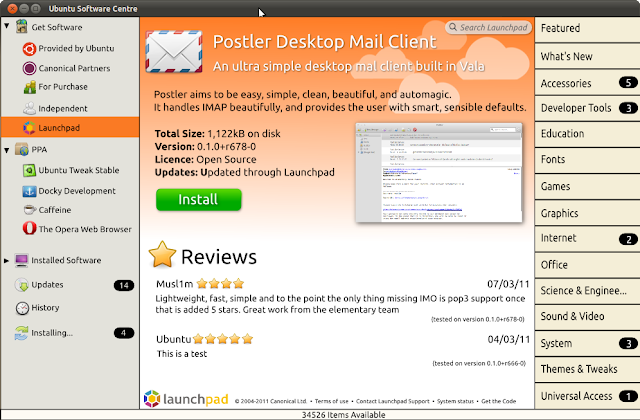 Surely if Canonical own Launchpad and build Ubuntu they can intergrate the two and allow Ubuntu users access to thousands of other applications without the use of a terminal." According to the author, these mockups were made solely using open source design tools such as Inkscape and GIMP. You need to check out this collection of incredible Ubuntu Unity mockups for some more impressive works by the same artist.